World renowned Apple offers its own music DAW known as Logic Pro which sets the platform for digital audio workstations, both on the Mac systems and overall. It is most economical DAW to boot in comparison to the other DAWs. Logic pro offers a fantastic package that most of the musicians and music programmers seriously indulge into. Huge audio plug-ins, software instruments and sounds to help you give shape to your imagination. 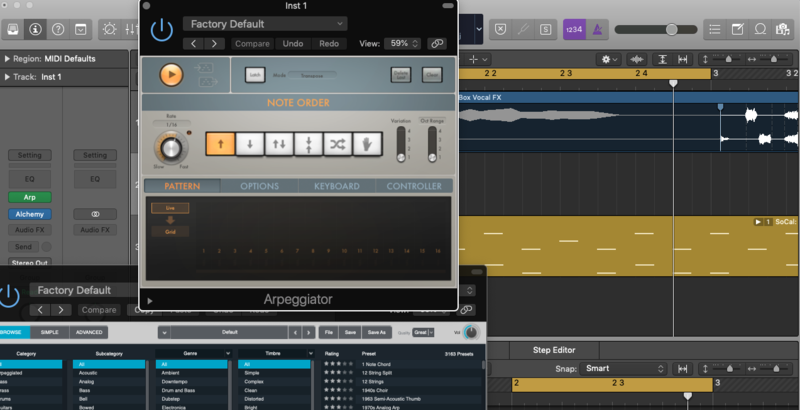 It also comes with a midi Arpeggiator through which you can insert a chord and experiment with new presets. It offers instruments and effects for melody & rhythm and many more. You also get to audition & explore a massive collection of thousands of electronic and urban loops, just to suit your own preference & style ranging from many more. It has an inbuilt Drummer, a virtual session player that gives an effective, real and most pro sounding real drum experience. Should you need to look out for an electronic sound you can make use of “Ultrabeat” and final on the professional groove. Logic Pro has a new interface design and it has introduced an advanced interface for professional musicians, various impressive plug-ins and sounds, and many more tools that are powerful and will give a top-notch quality with your Music creation.